Forgot to mention a memorable visit from early days. A french man named Yves Marre, settled in Bangladesh years ago and has made it his mission to help the fishermen maintain their craft and lifestyle in a very quickly changing world. Their boats are traditionally wooden; now becoming very expensive both to make and maintain. Yves is developing a new types of fibre glass/jute boat so they will be able to own their own crafts and have a far safer and more sustainable livelihood. 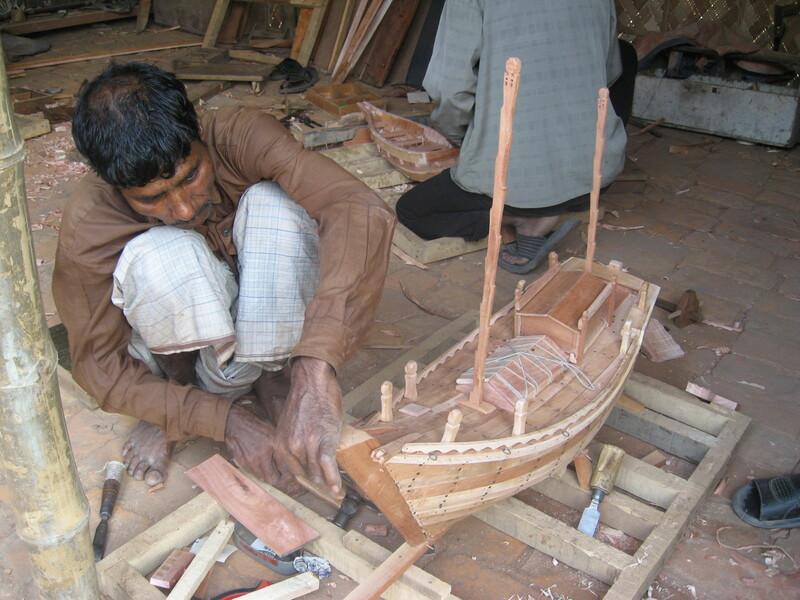 They are also creating a record of the craft of boat building , which is fast disappearing. 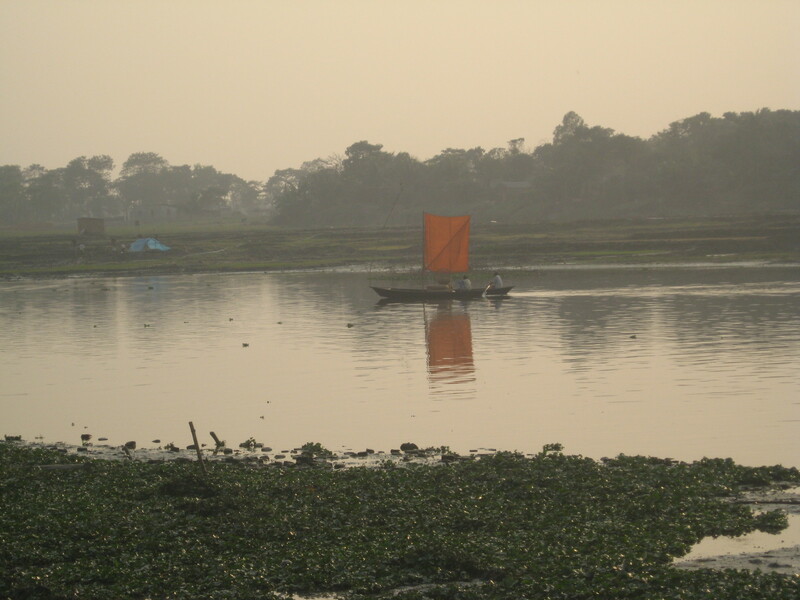 They have a large-scale boat too which we sailed on.The river further out of town is not as polluted as in Dhaka (where it is black), and seeing life along the river banks in the evening was beautiful. 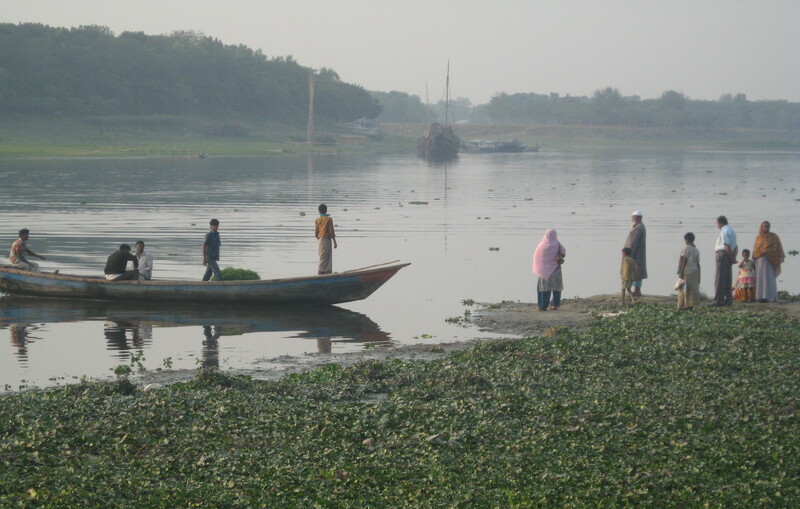 Yves’ project has also bought large out of service boats from Europe and refitted them as hospital boats to be able to reach people in the furthest parts of Bangladesh, only accesible by water. They are floating surgeries, dentists etc staffed by volunteer doctors. Was so inspirational to see someone dedicate his energy to work like this.